I love action movies! Not the more gory ones but those with stunts that look amazing and maybe even impossible. So of course, I also love watching spy movies but I can't say I love all of them. 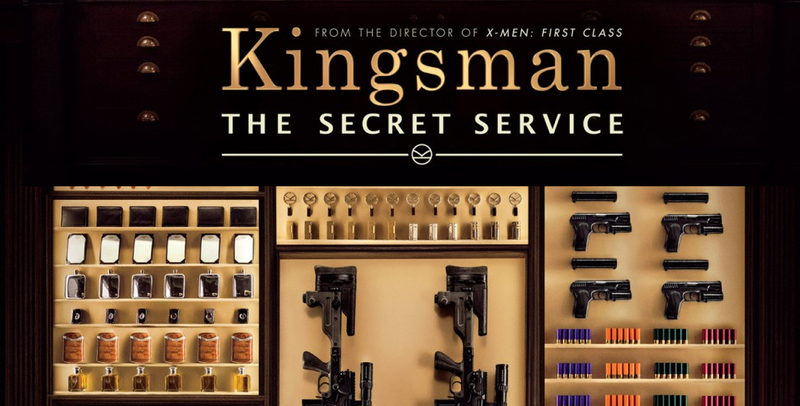 There are few that stand out in my memory and the most recent one is Kingsman: The Secret Service. This is quite a late post for a movie that has been in the theaters for some time now. However, I still cannot wipe the smile that involuntarily appears on my face whenever I think of this film. So before someone accuses me of going crazy, let me pour out my reasons here. Casting. I think Colin Firth (Harry Hart a.k.a. Galahad)was perfectly casted in this role. Michael Cain (Arthur), Mark Strong (Merlin), Sofia Boutella (Gezelle) and Taron Eagerton (Eggsy) were a good fit for their characters as well. However, I think that Sophie Cookson (Roxy) could have used more action scenes while Samuel L. Jackson (Valentine) was rather confusing as a villain who just hapens to have some annoying traits. Still, he was quite effective in driving the story along. The Accent/s. There is just something about the British accent that is so appealing to the ears and I'm sure it's not just to my ears. There were others as well that sounded different than the usual American we usually see on TV and film. Anyway, the English way of saying things just has a different effect on how the words and actions are delivered. I will not dwell on that here as I am no language expert. Characters. I refer to the characters of the secret agents themselves. We usually think of James Bond when we think of the English spy or detective but although the Kingsman agents are not as debonair in their appeal as 007, this is actually what makes them quite charming and in my view more realistic. I mean, of course you would want an agent who can blend in with a crowd of ordinary people and have a seemingly ordinary profession. The gentleman's tailor is just a great cover. Weapons and Stunts. Practicality is the name of the game in this league of agents. Nothing too flashy; everything in just the right size for its purpose. I just loved the concept of a bullet-proof suit; even 007 could use one. Also, the stunts looked amazingly realistic and kept me rooted to my seat. Cliche but not cliche. I love how the movie turns things around just enough so that there is a new twist to an old and rehashed plot about secret agents saving the world. Like I said, no spoilers so I'll just say that if you're tired of all the serious action and want a break from super heroes, then this movie is a refreshing take on all that hero stuff. Of course, there are things in this movie that could have been done better and one thing in particular that I wish they didn't do; but I leave that to your individual preferences because I'd rather wallow in the fun of it all. This movie is like the extreme opposite of The Matrix and the practical, more realistic version of James Bond. 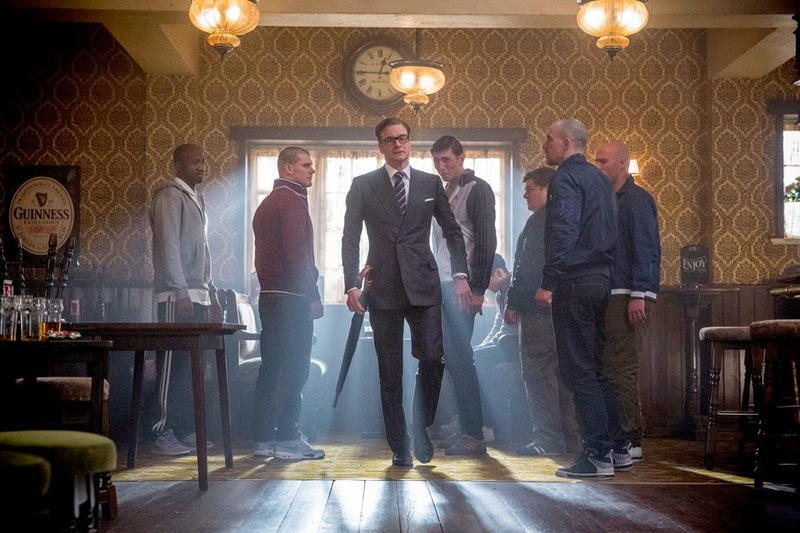 If the 2 previous movies were extravagant in their story-telling, stunts and yes, even budget, Kingsman can be considered modest in comparison while still retaining the dignity of a very capable gentleman. Bonus: Confused about gentlemens' shoes? You'll learn how to differentiate between oxfords and brogues too.